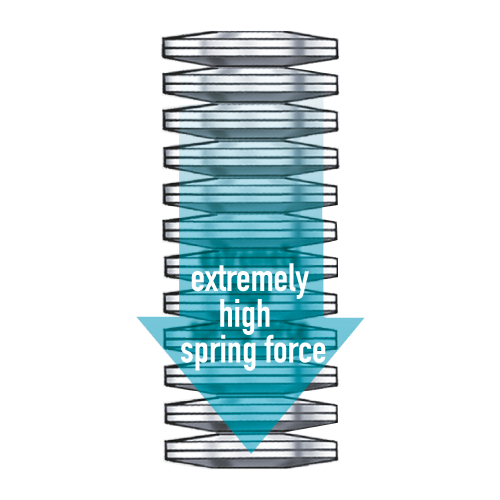 The powerful hi-strength springs units of the NEURO SWING are customized according to the needs of each user. The weight, range of motion, pathological gait, manual muscle test values and activity level are considered in the selection of each spring unit. 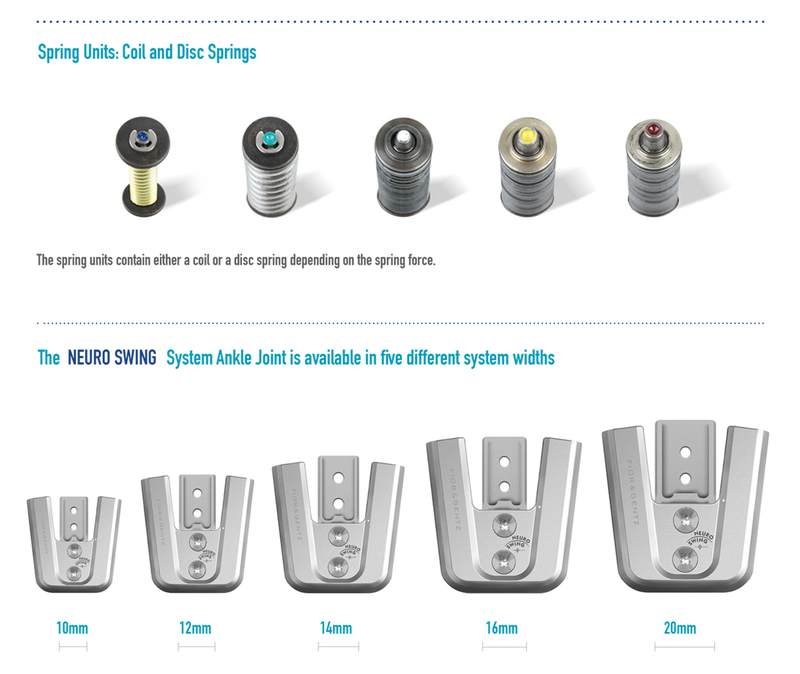 Due to the interchangeable spring units of the NEURO SWING system ankle joint, the spring force can be adapted in an optimal way to the pathological gait. An AFO must be optimally adapted to the pathological gait to establish the best possible biomechanical situation for each patient. 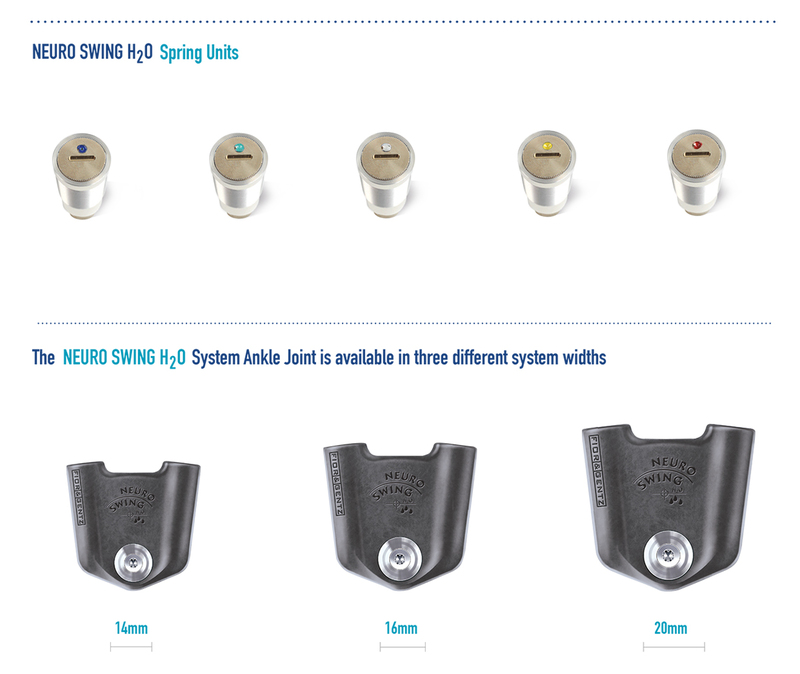 The NEURO SWING system ankle joint achieves this goal due to its interchangeable spring units as well as its adjustable alignment and range of motion. The spring units are preloaded and store the energy brought in by the body weight in mid stance. 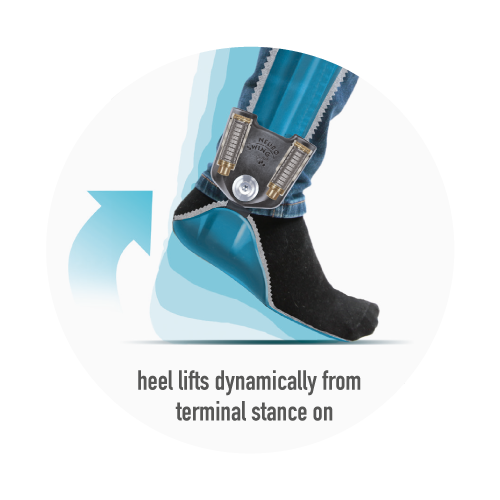 This stored energy is returned from terminal stance on and thus the heel lifts from the ground dynamically. At the same time, the two spring units placed opposite have a positive effect on the sense of balance which results in the stabilization of the patient when walking and standing. WE ARE ALL DIFFERENT AND CAN’T PRETEND TO TREAT EVERYBODY WITH THE SAME EXACT AFO DESIGN, ANKLE JOINT SIZE, SPRING FORCE, MATERIALS AND EXPECT CHANGES OR PROGRESS.